Tuesday, 12 April 2016, 5:45 – 7:15 p.m. Doors open at 5:45, introduction and announcements at 6:00, followed by the lecture. Please RSVP by emailing sweet.lecture@tacny.org. Dr. Thomas Amidon currently serves as professor and chair of the Department of Paper and Bioprocess Engineering at the SUNY College of Environmental Science & Forestry (SUNY-ESF). He is also Chief Technology Officer of Applied Biorefinery Sciences. Prior to his arrival in Syracuse in 2000, Tom spent 24 years at International Paper in various roles including Laboratory Manager of the Corporate Research Center in Tuxedo, NY. 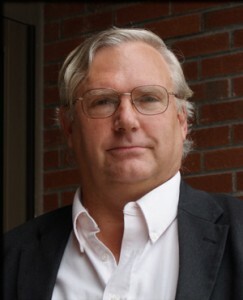 Tom is Director of the Empire State Paper Research Institute (ESPRI), a leading international research organization in the pulp and paper industry. He earned a Ph.D. degree in Silviculture from SUNY-ESF, as well as earning his BS and MS there. TACNY John Edson Sweet Lectures, a program founded in 1913, features discussions about topics in the fields of science, technology, engineering and mathematics in an informal atmosphere. A minimum of six free and open to the public Sweet Lectures are held each year.